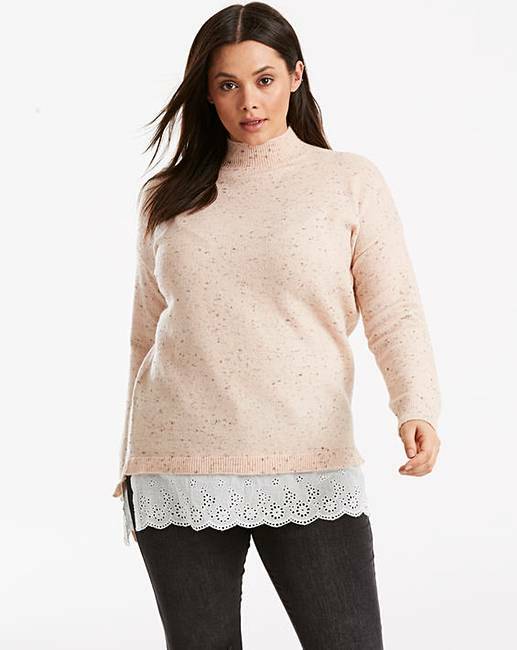 Opt for statement knitwear with this neppy blush jumper with broderie anglaise trim. Featuring high neck and longer-length tunic back. 78% Acrylic, 22% Polyester (excluding trims).